How’s your health? Is your weight in check? Do you follow a healthy diet and exercise regularly? Do you drink plenty of water and get enough sleep each night? Is your lifestyle healthy? Your body is your temple, and you need to take care of it. Life is beautiful, so why waste it being bogged down with physical limitations and unnecessary health problems? Good health is about much more than exercise and healthy eating. It’s also about having a healthy attitude, positive self-image, and active lifestyle. It’s about living life! In this post, we share 10 hacks to live a healthier, happier life. Take notes or bookmark this post, because these tips are vital for living life to the fullest. Enjoy! An overwhelming majority of people don’t drink enough water each and every day. Water accounts for 60 percent of an average person’s weight, and the all-important element is essential for the body to function. It transports oxygen, carries nutrients, removes waste, and more. However, since water loss occurs through urine, perspiration, and breathing, it needs to be replenished. Drinking water also helps with weight loss. In fact, in addition to its role in helping with the transportation of nutrients and waste, which helps facilitate weight loss, drinking more water also helps make you feel full and less hungry. Not so long ago, the golden rule was to drink eight glasses of water each day. Today, however, doctors and nutritional scientists recommend each person use their thirst and the factors above to determine their own unique fluid needs. Don’t forget, foods can contribute to your water intake too. Soups, fruits, juices, and other beverages all contain a significant amount of water and should also be considered. Nonetheless, if you’re suffering from dry mouth, dry lips, or darker urination, you could probably use some water. In fact, you should grab some right now. What are you waiting for? Drink up and then get back to this post! Sleep is great for your body and helps you lose weight too. How so? Not only does it help you avoid the late night munchies, but it also boosts your metabolism as well. Plus, getting plenty of ZZZs each night will help combat premature aging. What’s not to love about that? Life is all about movement. 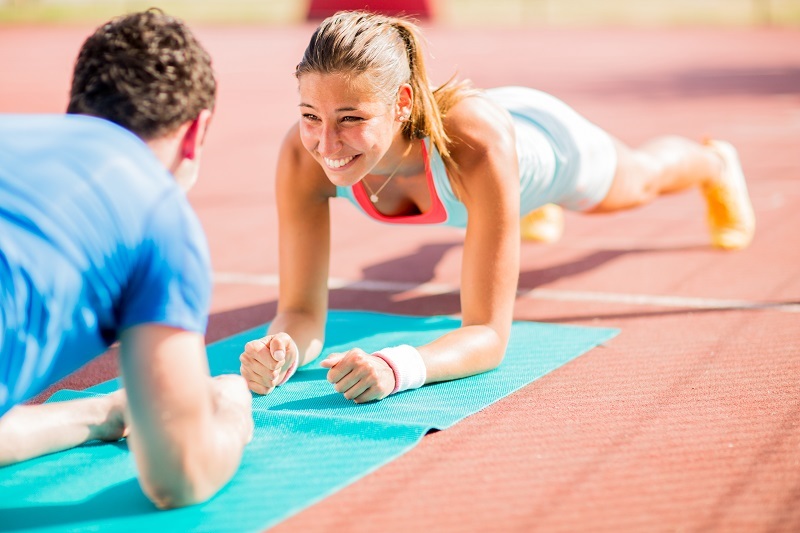 From greater bone density, to weight loss and a longer life span, research has shown that daily exercise can provide you with tremendous health benefits. So, get active. Walk more. Take the stairs instead of the elevator. Pick up a new sport and choose exercises you actually enjoy. By playing a sport or enjoying a physical hobby like mountain biking or paddle boarding, you’ll want to do it naturally. Exercise doesn’t have to be about pain and suffering. You should be able to have fun and be healthy at the same time. Just make sure to work out your entire body. This means you may have to do several sports or exercises and not just one. That being said, many sports, such as swimming and tennis, work out several different muscle groups. Your exercise options truly are endless. Fruits are loaded with vitamins and minerals essential for optimum health. However, it’s important to eat them alongside some form of fat in order to minimize glucose spikes and lessen the glycemic load. Vegetables are packed full of life-giving vitamins and minerals as well. 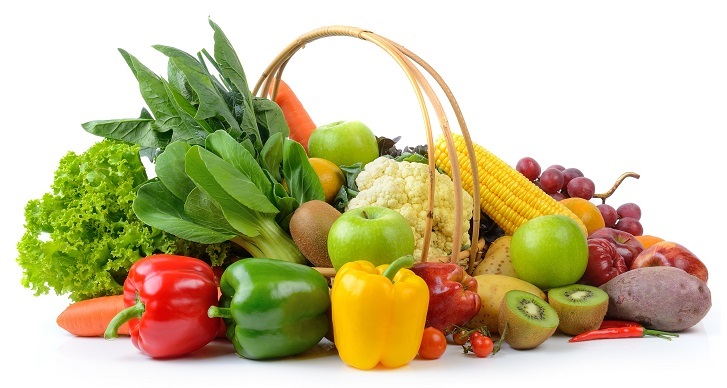 Eating a variety of vegetables is good for your gut health and will help improve your immune system. While there are many different veggies out there to incorporate into your daily diet, some are essential. Spinach, kale, and other dark leafy greens, for instance, have incredibly high mineral contents. Onion, garlic, and leeks, on the other hand, are prebiotics responsible for promoting digestive health. Since your health starts with your gut, fermentable fiber is vital for your overall health. It’s essentially food for your gut’s good bacteria, allowing it to flourish and create a healthy digestive environment. Fermentable fiber comes in two forms: soluble and insoluble. Fortunately, both types can be found in every fruit and vegetable you eat. While fiber is readily available in cereals, meal replacement bars, and dozens of other types of processed food, many are regarded as toxins. Therefore, it’s important to get your fill of fiber from natural, unprocessed plant sources. Your body needs large amounts of macronutrients for normal growth, a healthy metabolism, and overall well-being. 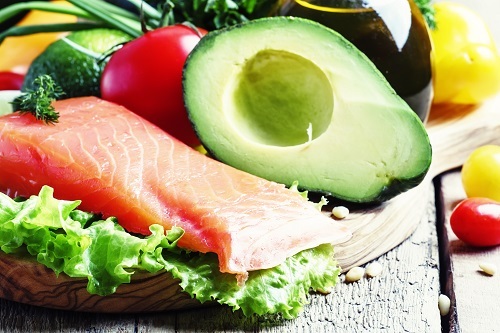 There are a ton of funky fad diets out there that restrict your consumption of any of these three macronutrients, but each one essential for a fit, healthy body. Protein creates hormones and helps repair tissue and wounds. Fat reduces inflammation, helps with vitamin and mineral absorption, blood clotting, building cell membranes, and more. Carbs, of course, fill us up and provide immediate energy. While these macronutrients give your body the energy it needs to function, it also needs micronutrients to orchestrate a wide-variety of physiological responsibilities. Micronutrients are essentially vitamins and minerals, and a deficiency in any one of the several your body needs can have a massive effect on your health. So, how do you get the micronutrients your body needs? You eat a variety of healthy, unprocessed foods of course! Not only is processed food full of preservatives and who knows what, but it also serves very little nutritional value as most of it lost due to, well, processing. Generally, the longer the ingredient list on the label and the more items there are ending in ‘ate’ and ‘ite,’ the worse it is for you. The truth is processed foods are bad for you in more ways than one. In addition to their lack of nutritional value and abundance of harmful preservatives, most processed foods also contain a ton of sodium, which is known to cause high blood pressure and lead to heart disease. To live a healthier, less processed life, opt for natural whole foods. For instance, choose fresh fruits and vegetables over the syrup and sodium-filled canned varieties, a baked potato rather than potato chips, a rotisserie chicken over “chicken” nuggets, and so on. You get the point. Not all fat is bad for you. As mentioned before, fat is actually a vital macronutrient, not your enemy. Well, this is at least partly true. While saturated and trans fats are terrible for your body, poly- and monounsaturated fats play a critical role in facilitating normal, healthy body functions. They also lower your triglyceride and LDL cholesterol levels. To limit your saturated and trans fat intake, you should avoid margarine, French fries, commercial pastries, and anything containing “partially hydrogenated vegetable oil.” Healthy poly- and monounsaturated fats, on the other hand, can be found in olive oil, avocados, nuts, peanut oil, salmon, flaxseeds, canola oil, sardines, and high-oleic safflower, just to name a few. Physically, you could be as healthy as an ox. However, if you’re clouded in negativity, it’s impossible to truly live a healthy and happy life. You need to stay positive and get rid of any and all negativity. Not only does negativity often result in stress and disease, but it also fuels many peoples’ dependency on food. If you’re positive and happy, you won’t use food as an emotional crutch. To combat negativity and its ill effects, you should listen to your thoughts as they arise and immediately purge any negative ones. It’s also helpful to perform a brain dump whenever you feel angry, frustrated, or upset. Simply write down your deepest thoughts and address them head on. Oxygen is the most important element in the world. Along with water, it’s the source of life. While breathing comes naturally to us all, very few of us breathe properly. Rather than taking nice, full breaths, we tend to take shallow breaths and only fill up our lungs to less than half of their capacity. Athletes are the perfect people to watch and learn proper breathing techniques. They’re taught how to maximize their oxygen intake to keep their muscles working their best during the toughest of situations. You should make it a habit to regularly take full breaths by completely filling up your lungs. In addition to keeping your tissues oxygenated, it will help with stress relief as well. There are plenty of things you can do to live a healthier life. However, none are as powerful and effective as these 10 health hacks. By drinking more water, exercising regularly, getting plenty of sleep, eating the right foods, staying positive, and focusing on breathing, you’ll start looking and feeling better in no time at all. Here’s to a long, healthy, and happy life!